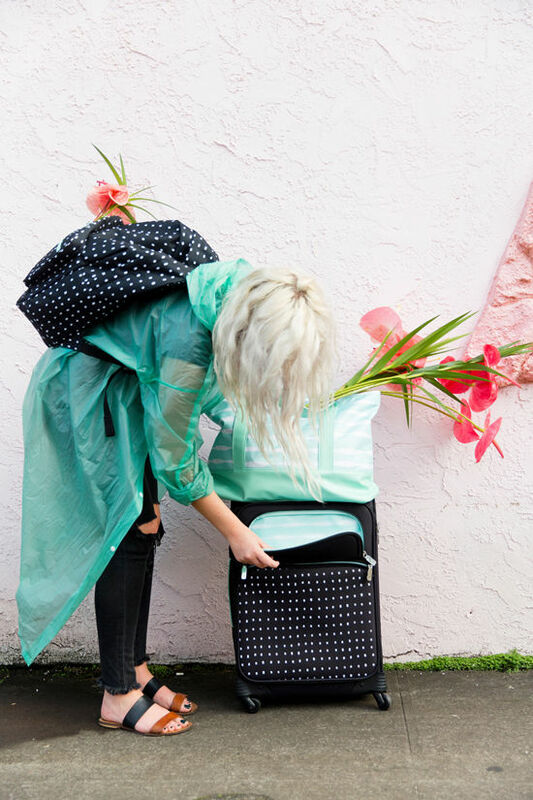 D E S I G N L O V E F E S T » DESIGNLOVEFEST LUGGAGE AT TARGET! i wanted to create a line that felt chic but also affordable. my favorites are the blush toned items with the black and white pattern accents. 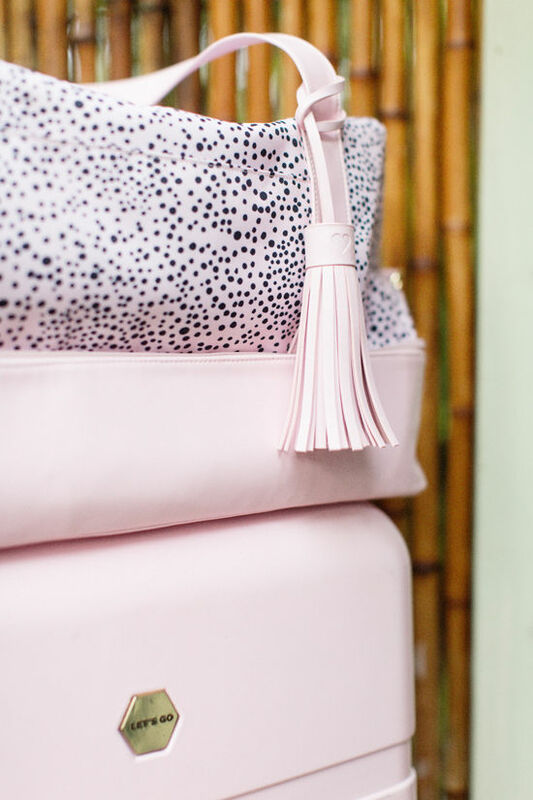 i envisioned cool details in the line like gold zippers and matching add-on tassels. i wanted it to feel fun to carry, but also very functional. 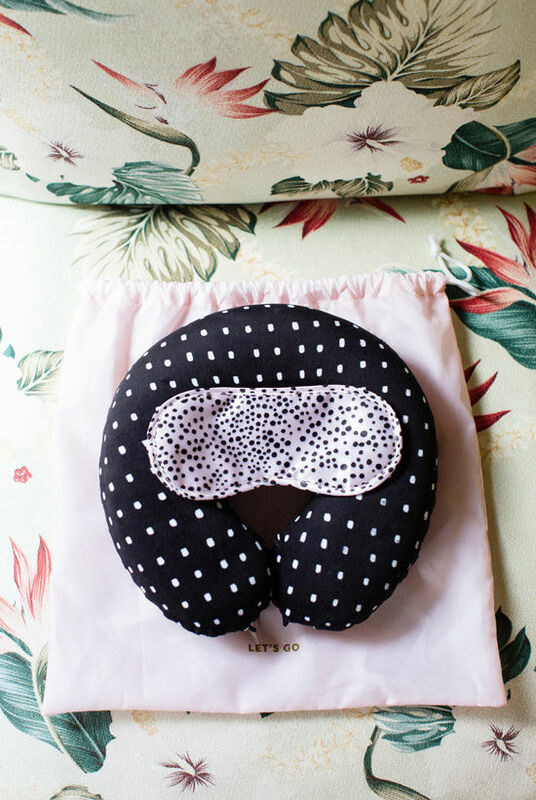 the line also includes a travel pillow/eye mask set, a backpack, a cosmetic bag, a travel tote, packing cubes and more. you can see the whole line online right here! 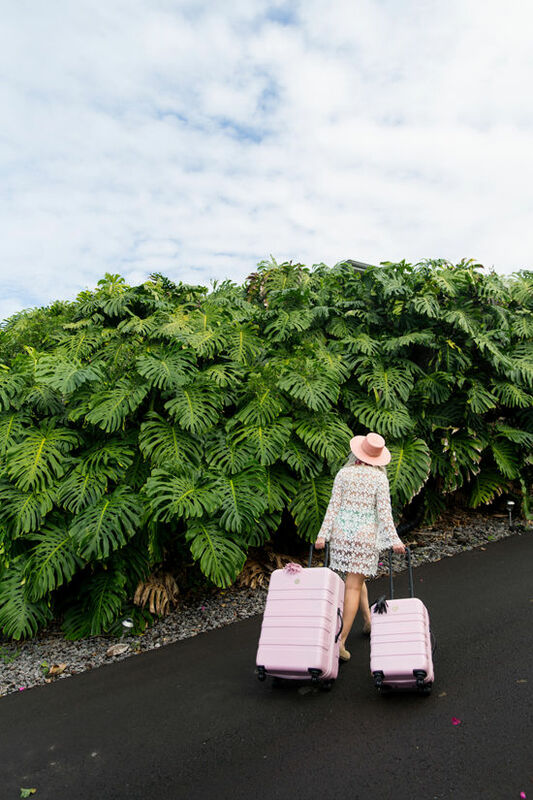 jesse and i headed to the big island in hawaii to shoot the luggage in a tropical environment, which was part of my inspiration. 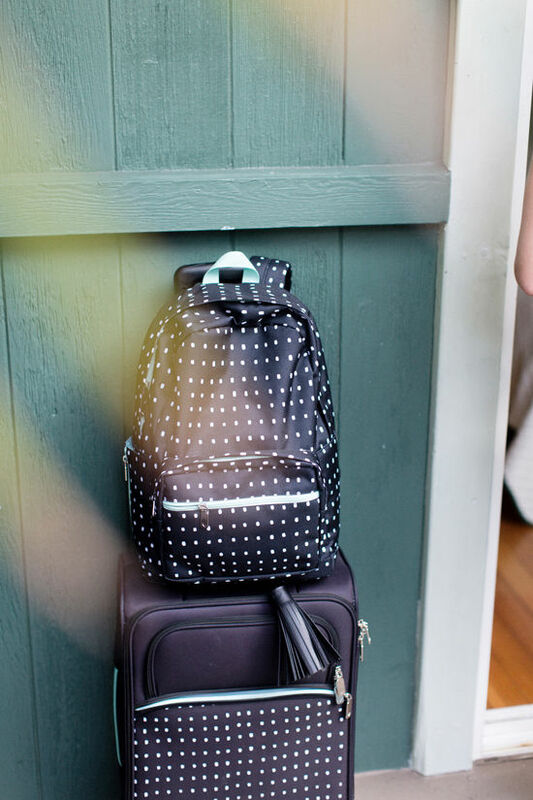 we also have a set of black luggage for the not-so-girly girl! this honestly is such a surreal moment for me, i don’t think it’s even really sunk in yet. but it has had me fully smiling looking at the messages and instastories from people buying it in the stores! make sure to tag me if you go so i can be there with ya and repost!! 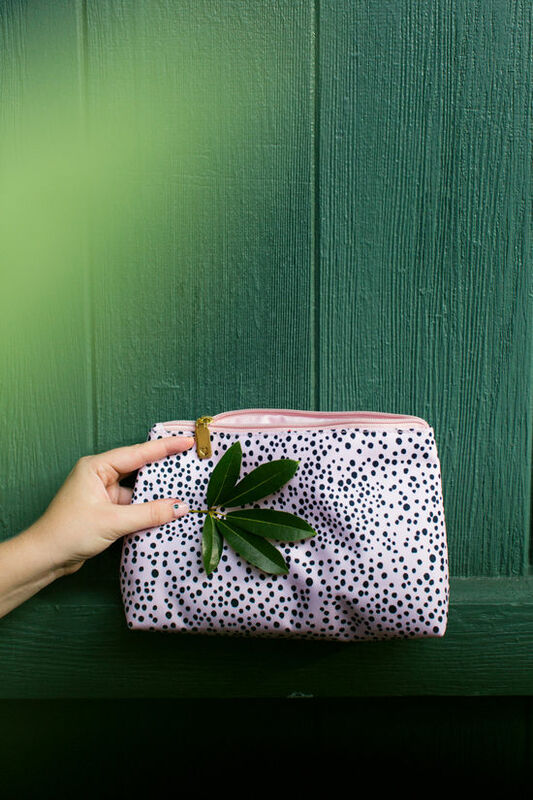 i love that cosmetic bag, and use it everywhere i go. plus, it’s only $9.99! 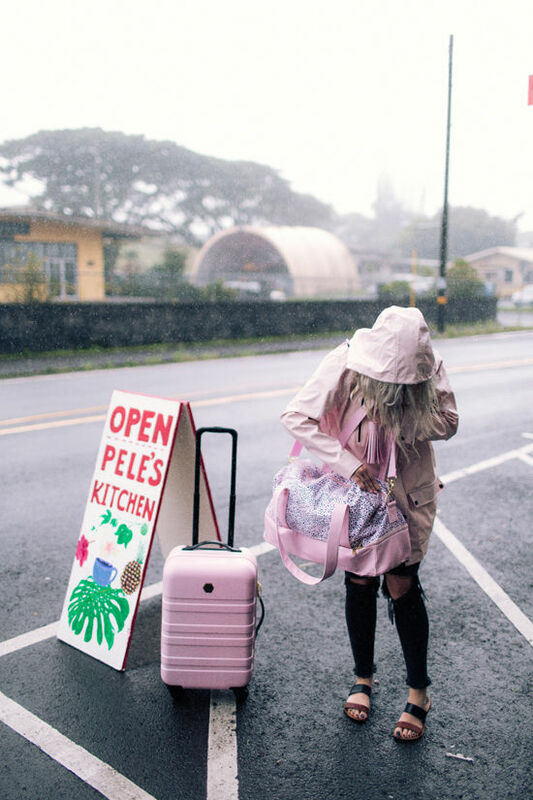 Wow such beautiful inspiring pics, love your luggage collection! So dreamy, love the design! Congrats! I love the colors. I LOVE the travel duffle!! I had a couple of gift cards saved and went right way this morning to get the small pink suitcase. The store only had one in the back and it’s mine. 🙂 Can’t wait to take it somewhere! 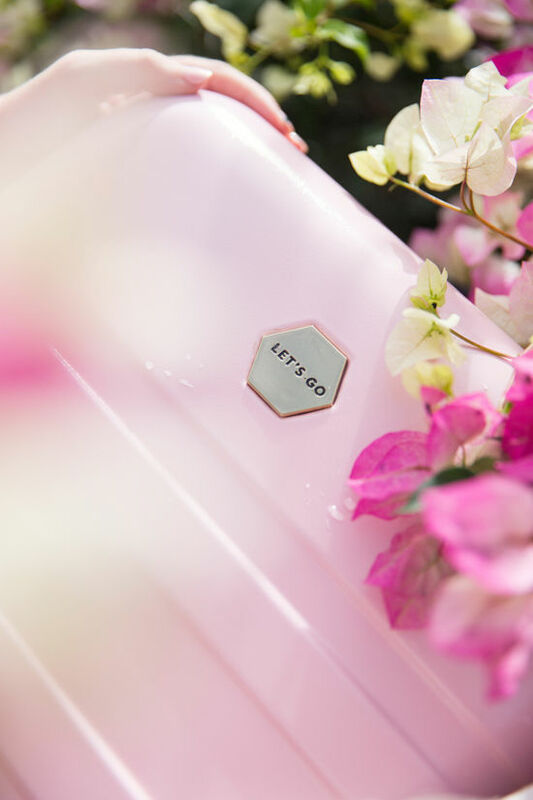 Oh my goodness I neeeeed this luggage! good thinking calling the store! some stores have their stock out but not all of them. all stores should have it available by the end of this week! hey anne! the stores should be releasing their stock in the next week so check back if you can’t find something! OMGGGGGGGGGGGGGGGG I love this so so much! Congrats! 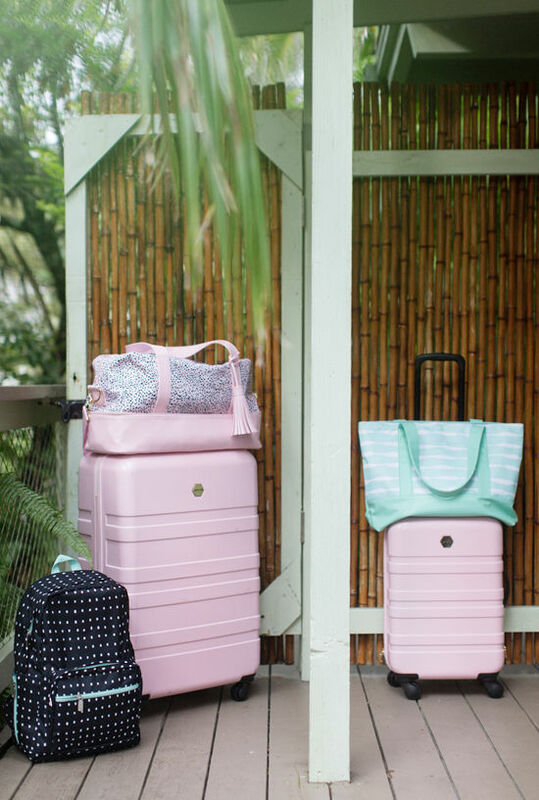 Oh gosh, these are the sweetest looking travel sets ever. This is so great! Congratulations on the launch. I’m sure that I speak for all your international fans that we wished it was available where we are. CONGRATS! This is so so exciting. All of the pieces are SO beyond gorgeous! I’m in love. No no no no no! I seriously just bought luggage! 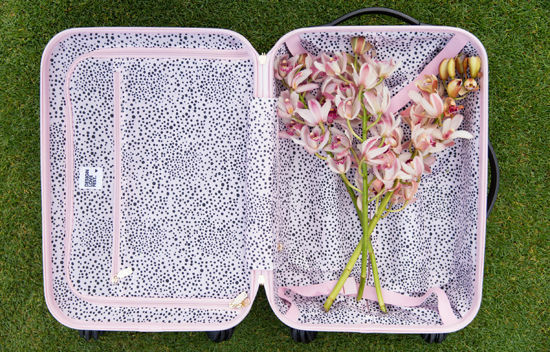 I so want a pink suitcase! Am so excited for you guys and this line!! 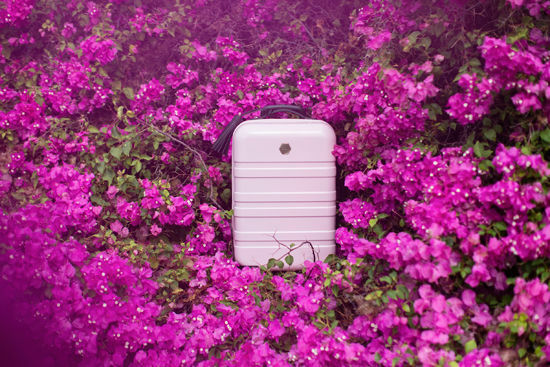 Am looking to upgrade my carry-on and this is adorable. thank you, Mel! We’re pretty excited over here! 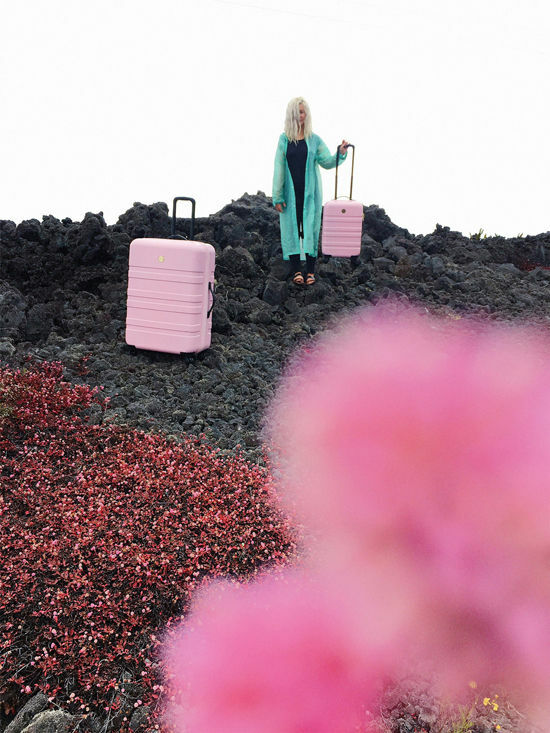 These photos are beautiful and LOVE the blush suitcases. Congratulations girl!! thanks, Samantha! that is my favorite too! the large pink one is sold out online, and says it’s not sold in stores. wondering if anyone has seen it in a store?? 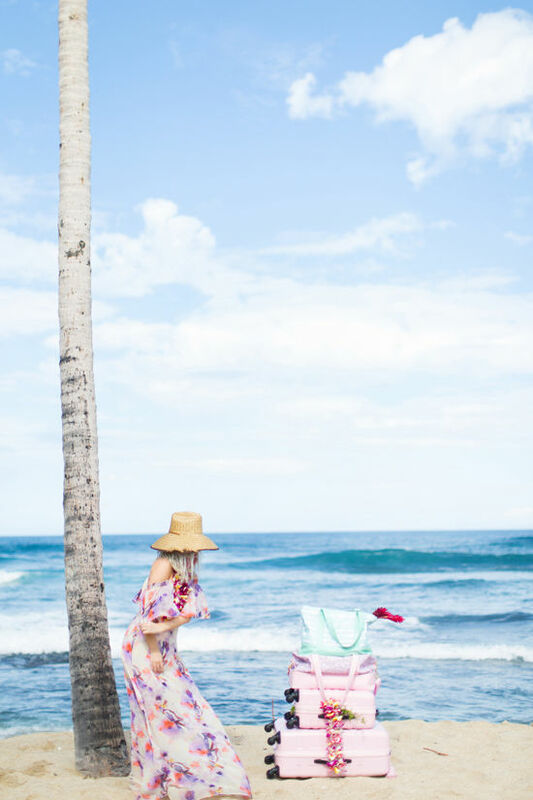 hey kari, the larger pink size is online only but it will be re-stocked soon so keep checking back! LOVE this collection! Congrats on such an awesome accomplishment! I am such a fan of both you and target. I literally squealed when I walked down the aisle the other day to see DLF’s logo on the end cap! I am addicted completely to your brand & aesthetic – slay queen! Just got the small pink hard case!! So excited to use it on my trip this weekend! 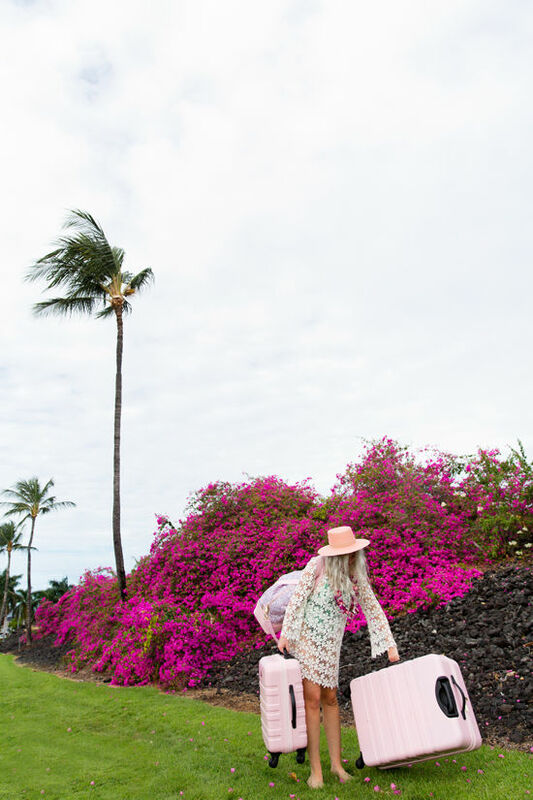 Hi Bri, I was eagerly waiting for you to post this shooting from Hawaii, the sneak peeks on Instagram were already sooo good, and then it turns out you were shooting for THE prettiest coolest travel collection EVER!! Many many congratulations, you deserve all this success. 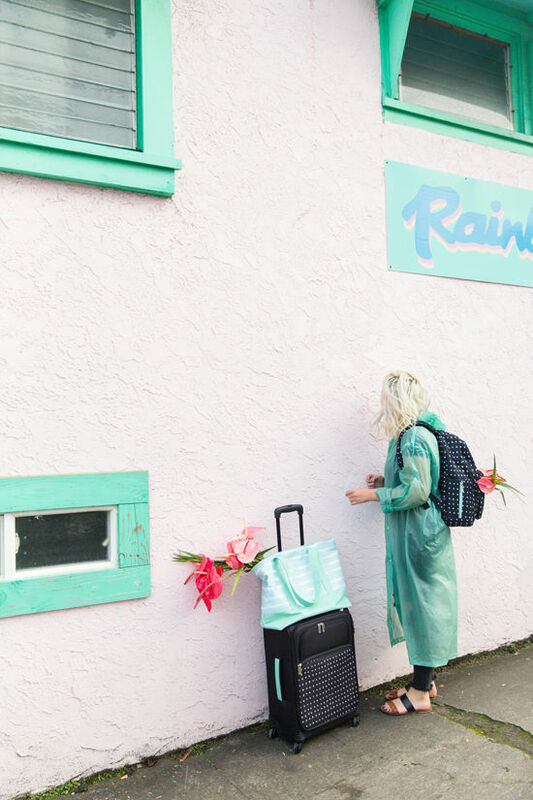 The shooting is perfect, I am so inspired by the colour palette you’ve chosen (the rich greens, pinks and hints of red), and it really makes you want to travel anywhere! Simply Spectacular. Bri you are a true creative inspiration. The complete collection looks beautiful. Congrats. Eeeep! 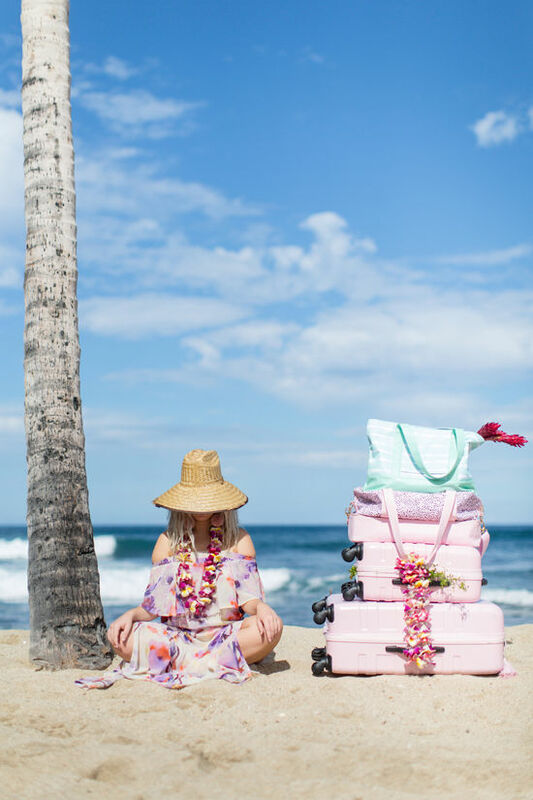 I bought the black carry on suite case and am so excited to take it on my trip to Hawaii in a couple of weeks! 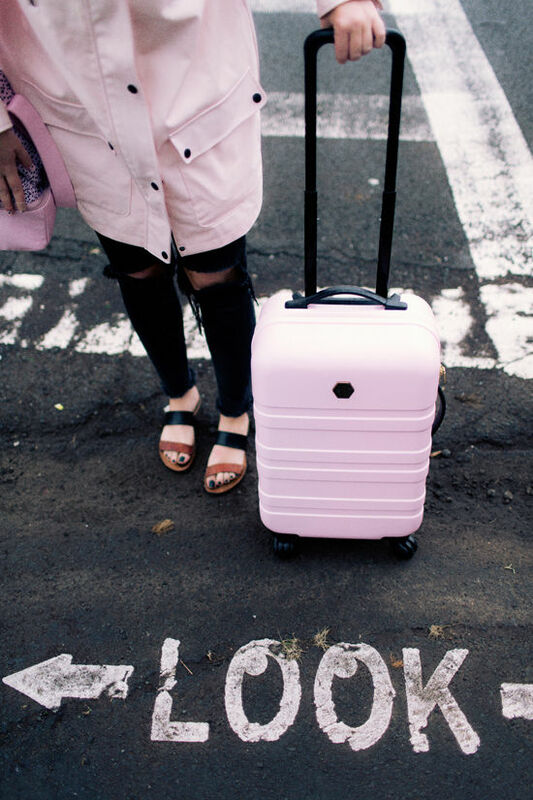 This is my first piece of luggage that i’ve ever purchased because I’ve never seen anything that caught my eye! So happy that my first official piece is a DLF one! Thank you! Love the new luggage!! I got the last carry-on case at my local Target. 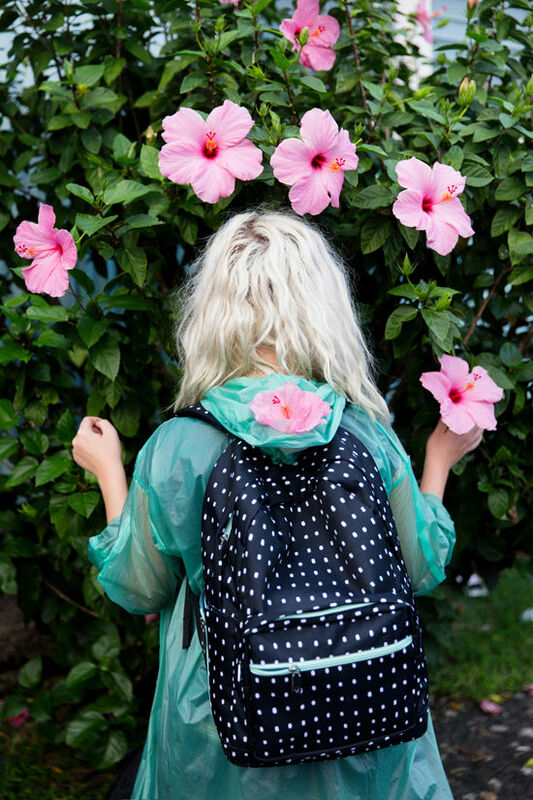 Wondering about your green rain jacket?? Where do I find it?? hi! I am outside of the States. and access is denied. Are there any way to order. I am so in love with you and that suitcase! I LOVE this collection! It’s SO much fun and I want every piece to be mine! Love it so much that I’m headed to Target on my lunch break! Thank y’all for being so awesome! 100% swooning!!! Definitely getting some!! I’m obsessed!! i can’t wait to check it out at my local target! Everything about this post is AWESOME! 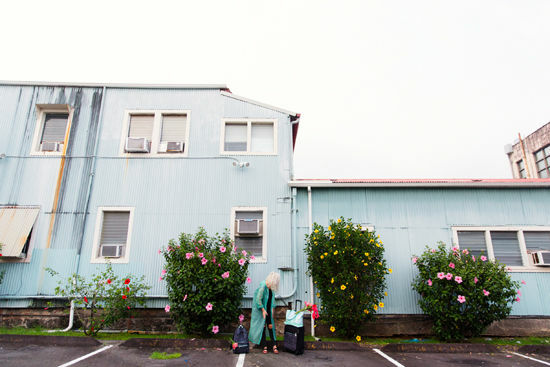 Love the colors, photos, lugage – it’s seriously pretty and I love it. So happy for you! Great awesome work girl! Hi! Is target planning to restock the 28 inch pink roller bag? I am dying for one!! I called them today and they said as of now they aren’t getting any more in, so wanted to check with you directly! yes! fingers crossed it will be restocked soon! Thank you!! Sending you love and gratitude! I’ve been obsessed with luggage. particularly the carry-on variety. I bought the black luggage and am not even done with my first trip using it and one of the zippers on the front has broke off so I now can’t use one of the storage compartments…SO bummed as it was not cheap luggage! 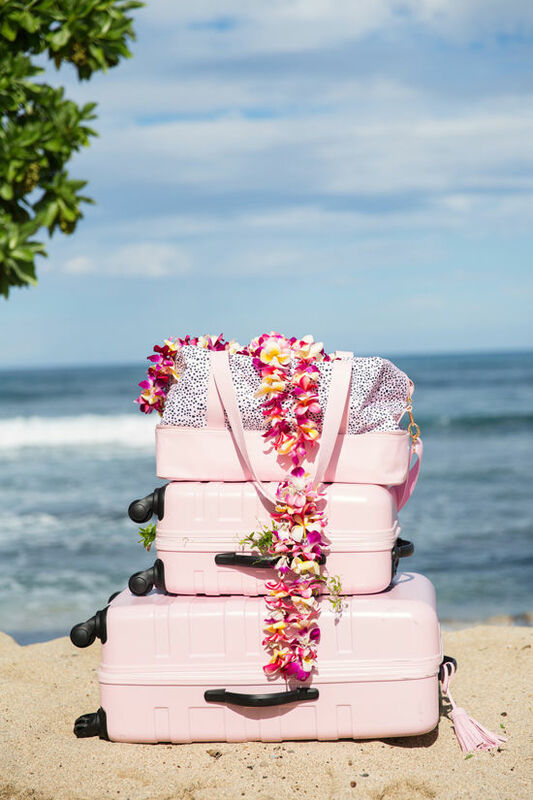 Love the looks of the luggage, just wish it would have lasted longer than 1 trip! so sorry to hear that! you should take it back to target with your receipt and see if they can take care of it. or call guest services and tell them what happened 1-800-591-3869. 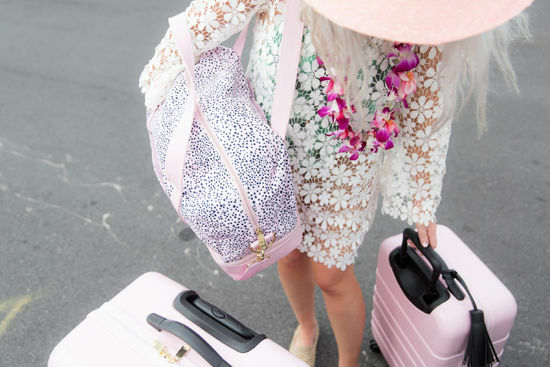 So obsessed with this luggage! 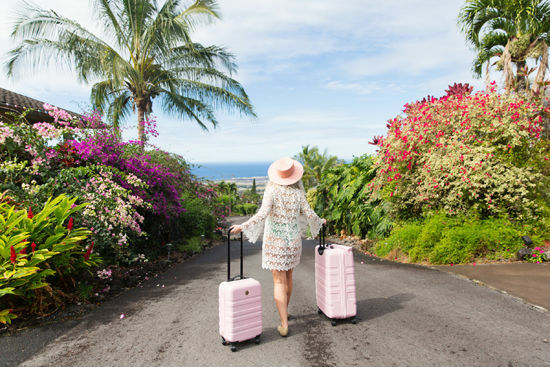 Do you know if Target will be restocking the 28″ pink roller? I want one sooo badly!